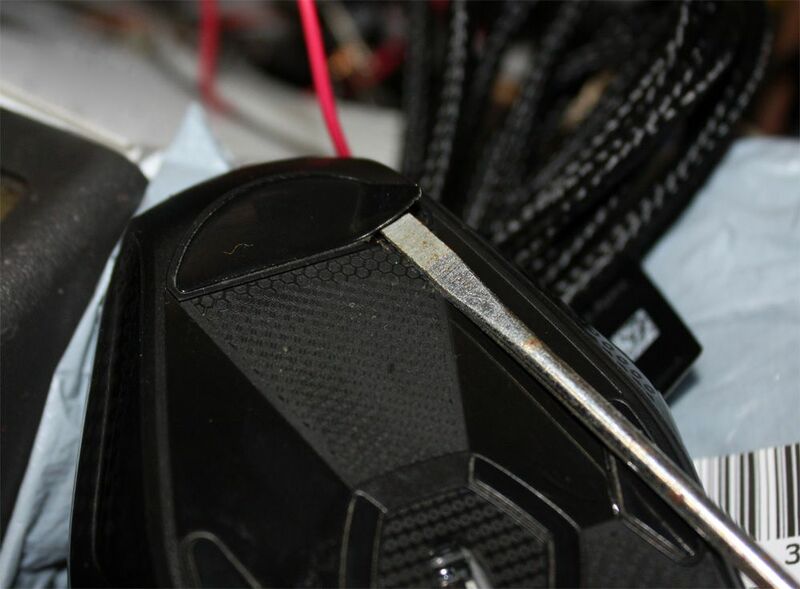 I had a mouse that was having problems, and was outside of warranty. 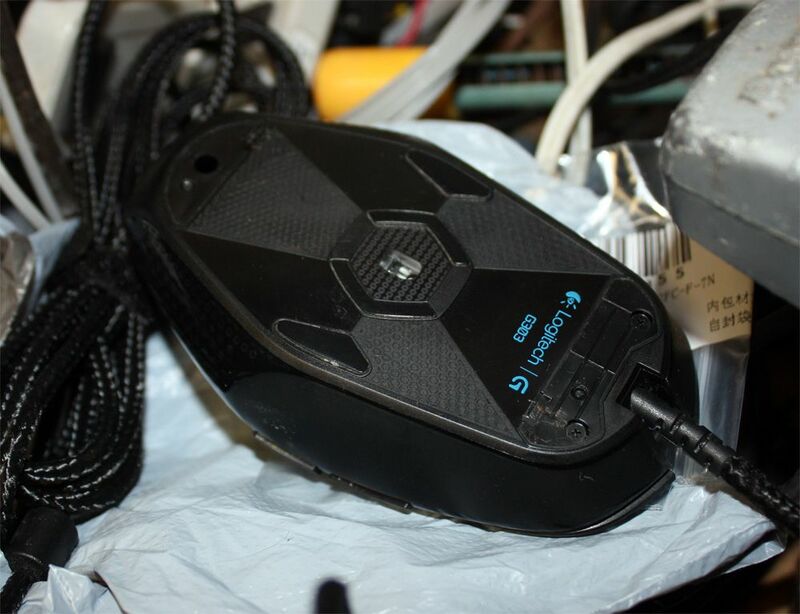 Logitech support was helpful, but ultimately they no longer produce the mouse and as such cannot give adequate service for it. I decided to take things into my own hands, since the warranty was over anyway. 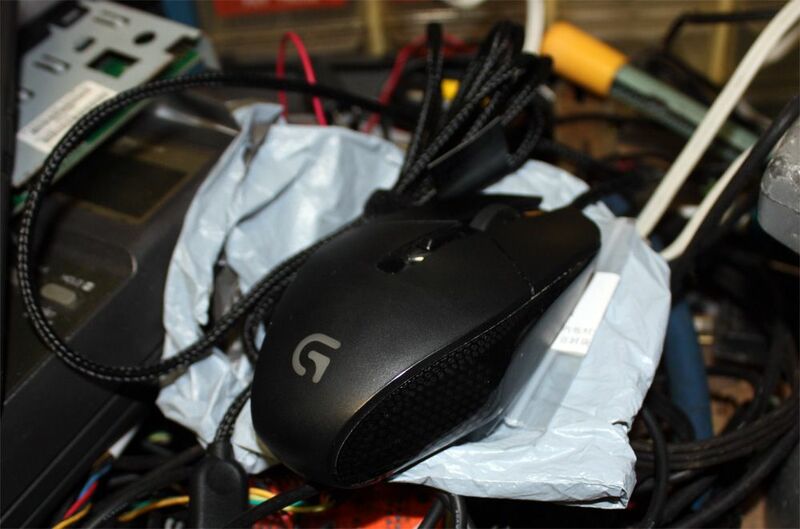 This is the mouse in question, a G303 Daedalus Apex. It developed multi-clicking per press on the left click which means the switch has gone bad. 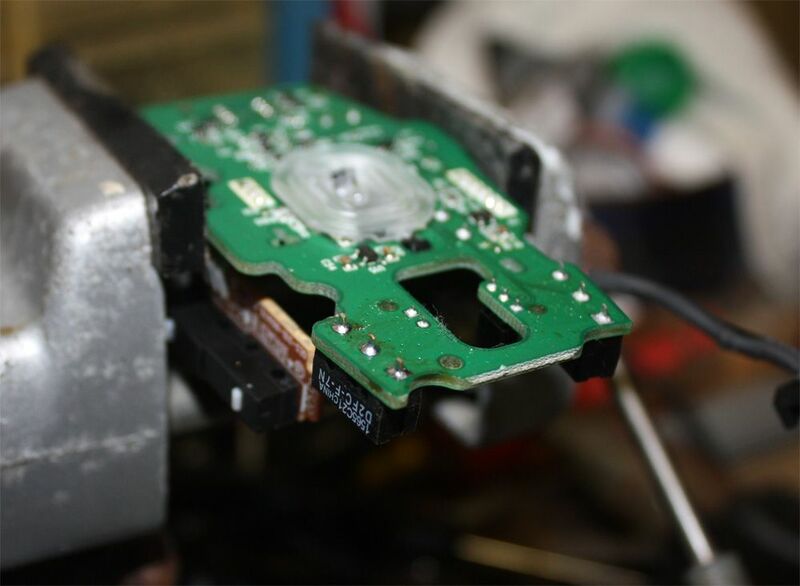 Opening up the mouse. 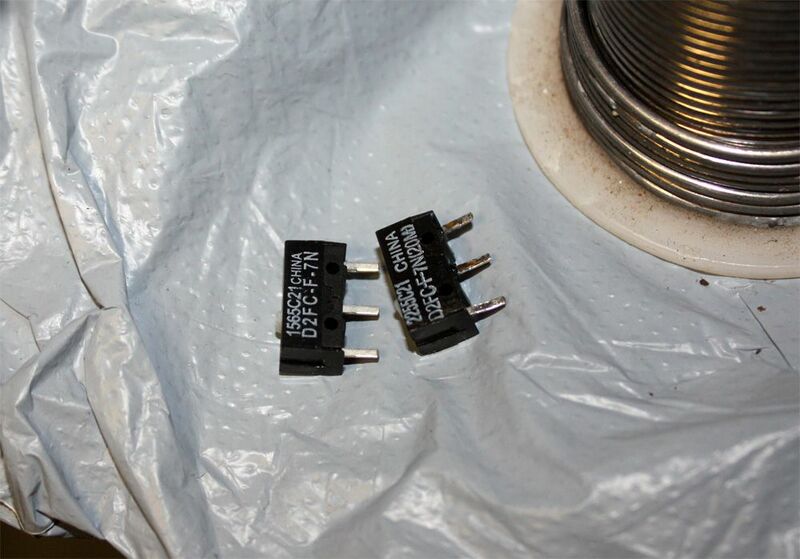 I am also able to clean the gunk buildup near the case seam that I couldn't reach normally. 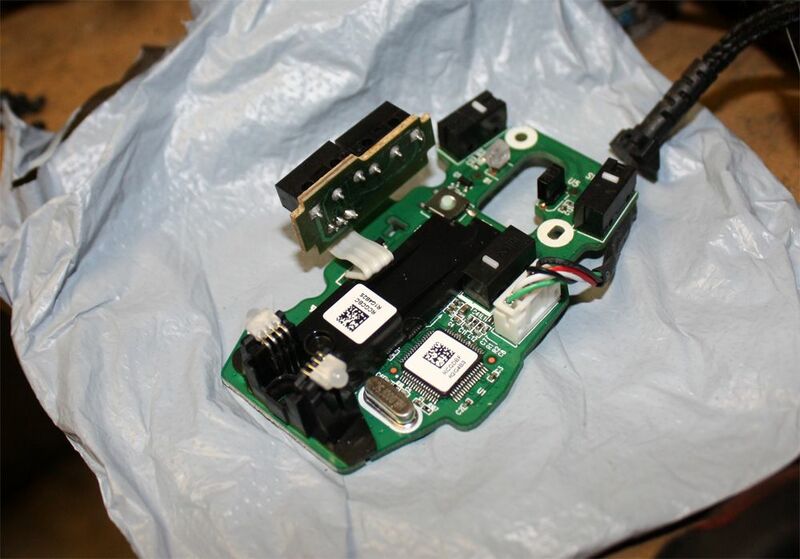 Here is the G303's main PCB removed from the chassis. Looking underneath. 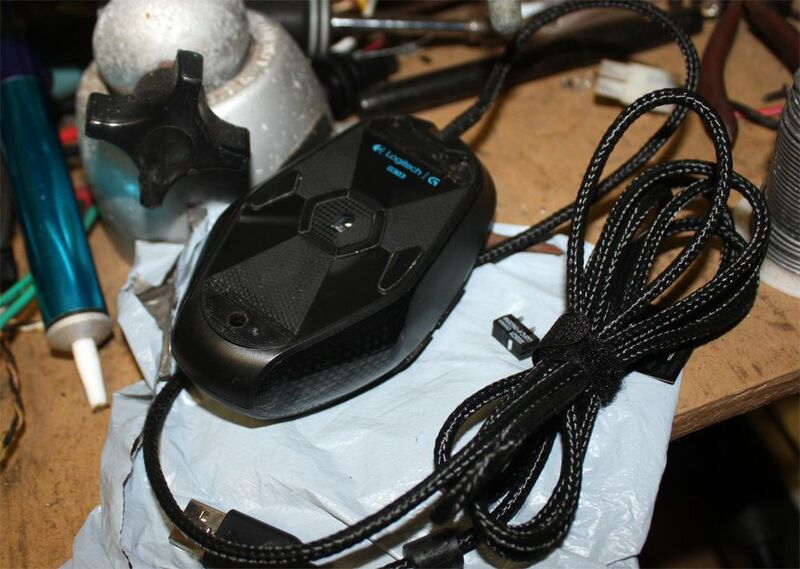 Apparently some G303's have had issues with the sensor lens rattling around, but not on mine. 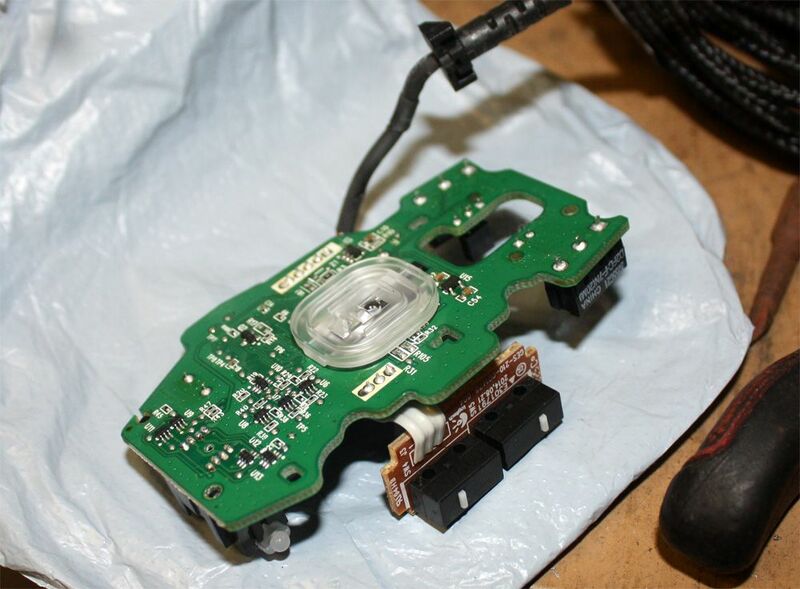 Mouse reassembled and the feet ready to be put back on after some testing. It did in fact work properly in testing, so this procedure was a success. 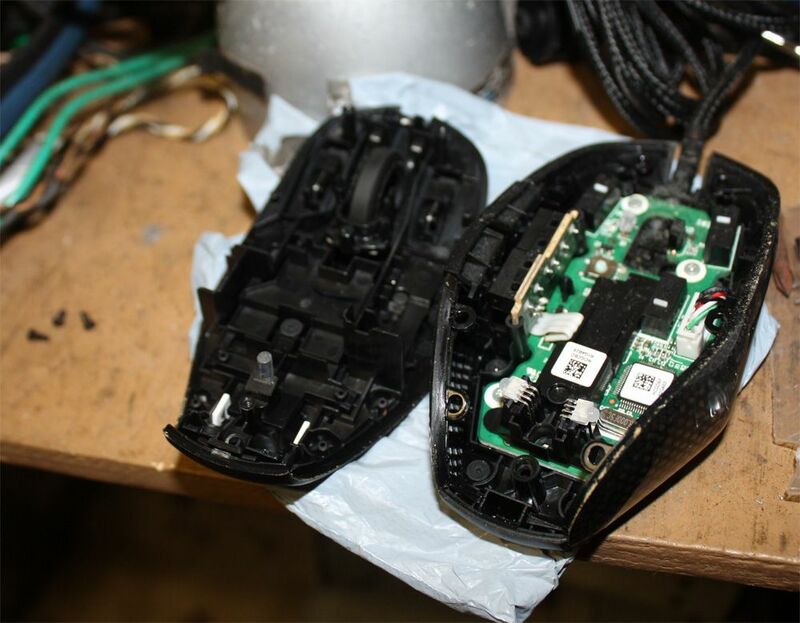 From what people are saying online, this unintentional multi-clicking is a problem no matter what brand mouse you go with, as it is an issue of microswitches wearing out and all mice use similar form factor switches. 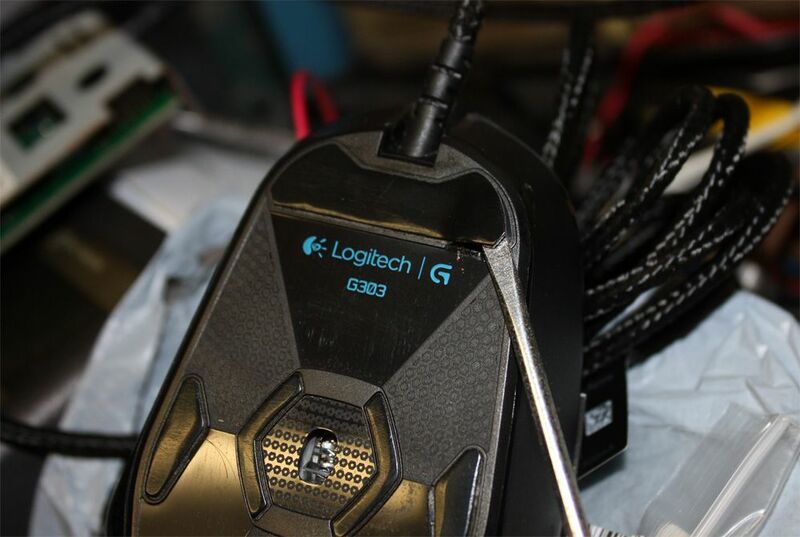 Logitech mice seem to use the same microswitch however, so ordering replacements is easy. 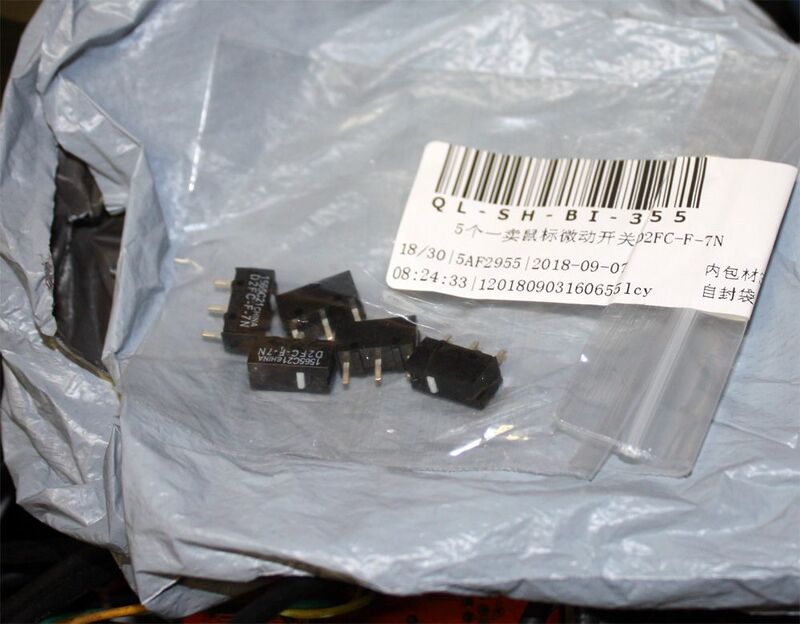 Now that I have the switches in, I should go and find my old MX510 from 2006 that I stopped using for this exact reason and see if it uses the same switches.